Seems Like a No-Brainer, Doesn't It? Although CDL drivers have been restricted in the use of hand-held devices while driving for some time now, more and more states are passing legislation banning the use of these devices for all drivers. Georgia has now become the 16th state to do so by passing House Bill 673, also known as the "Hands Free Law". 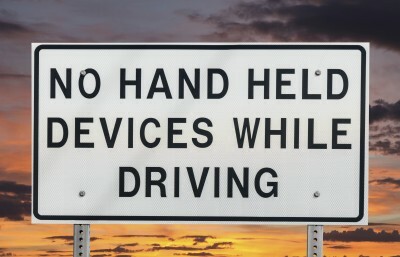 Effective July 1, 2018, the "Hands Free Law" makes it against the law for any and all drivers to have a phone in their hand or use any part of their body to support their phone while driving. Drivers can only use their phones to make or receive calls by using speakerphone, Bluetooth, an earpiece/headphone, or other device to allow them to communicate on a hands-free basis. Drivers are also banned from recording and/or broadcasting a video while operating a vehicle. According to the HeadsUpGeorgia website, the State has seen significant increases in vehicle crashes, fatalities & bodily injury. The bulk of these have occurred in rear-end crashes, single-car crashes, and crashes by drivers age 15-25. States with similar laws in effect have seen a 16% decrease in incidents in the two years after the law was passed. While the majority of our Fund Members are based in Alabama, most will drive or have driven through Georgia multiple times. Just think, as states begin to see the benefits of this type of regulation, the more other states will follow suit. And as these laws begin reducing the number of distracted drivers on the road, we reduce the risk for everyone, including our truck drivers. For more information, visit the Georgia Governor's Office of Highway Safety.